MOSCOW. Sept 19 (Interfax) – The Yabloko party has submitted a draft federal bill restricting the president’s right to use the armed forces abroad to three regional legislatures for consideration, the party’s press service reported. “Party Chairperson Emilia Slabunova has submitted the bill to Karelia’s Legislative Assembly, and Mikhail Amosov and Lev Shlosberg of the party’s federal political committee submitted it to the legislatures of St. Petersburg and the Pskov region, respectively. 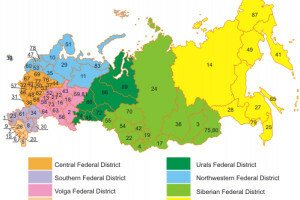 If approved by the regional legislatures, the bill will be forwarded to the State Duma,” the press service told Interfax. Yabloko believes that permission to use the armed forces abroad, including for operational purposes, should be given to the president for a particular period of time, upon the expiration of which the Federation Council should have the exclusive right to decide whether to extend it. While the Russian constitution stipulates that the use of the armed forces outside Russia is in the Federation Council’s exclusive jurisdiction, the Federation Council has delegated this right to the president in two resolutions, Yabloko said. “Yabloko believes that the powers given to the president are too broad, and this upsets the balance between the branches of government. Therefore, the party has proposed adding a new article to the law on defense to limit the period of time during which the armed forces can be used outside the country to one year and the time of their operational use to 60 days,” it said.